Jeff Maiden, P.E., P.S., took office as the Athens County Engineer on January 7th, 2013, following his election on November 6th, 2012. Born in Nelsonville, Jeff is an Athens County resident with deep roots in the community. He graduated from Ohio University in 1982 with a Bachelor of Science Degree in Civil Engineering. From 1982 through 1993, he was Vice President of Maiden and Jenkins Construction Company in Nelsonville. His responsibilities included project management for various construction projects throughout Ohio that included bridge and highway projects, waterline and sanitary sewer projects, and commercial building projects. He was in charge of field survey operations and provided engineering design work to support construction operations. His construction experience at Maiden and Jenkins became the foundation for creating engineering designs that are not only constructible, but efficient and cost effective. He left Maiden and Jenkins Construction in May 1993, and was divested of all financial interests in the company by the summer of 1994. Jeff became a full-time design engineer and land surveyor when he founded the RJM Engineering Company in Athens. He has a long history of developing successful projects for local government entities such as the City of Athens, Ohio University, the Athens County Commissioners, the City of Nelsonville, and many private sector clients ranging from developers to homeowners. 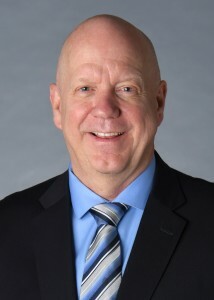 His experience in the design of bridge rehabilitation and replacement projects; landslide repairs; culvert and roadway projects; asphalt paving projects; drilled pier walls; and the use of modern land surveying equipment (including Global Position System (GPS) receivers and robotic total stations) has brought new capabilities to the Athens County Engineer’s Office.  Jeff sold his engineering business on November 30th, 2012, so that he could devote all of his time and energy to the work of the Athens County Engineer’s Office.